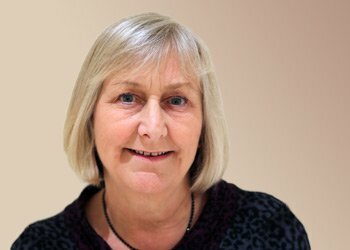 Alison Jones is a recently retired Advanced Practitioner Radiographer, with more than thirty years’ experience working in various positions within Gloucestershire. She gained Postgraduate qualifications, completing several specialist courses to acquire her posts at Gloucestershire Royal Hospital and community hospitals. She also has ten years’ experience within the private healthcare sector and was an elected representative for the Society of Radiographers. During her career Alison lived in the Forest of Dean, where she raised two children and always felt well supported by the local healthcare provision. After semi-retiring in 2012 she worked at Dilke and Lydney Hospitals, enjoying daily patient contact and the ability to deliver an efficient and empathetic service. 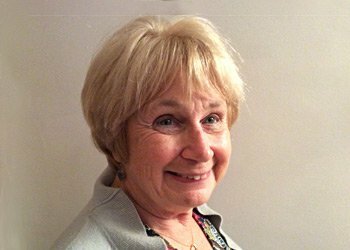 Valerie Wood is a retired RGN with experience in palliative care and general nursing. She spent all her childhood and working life in Devon, training at the Royal Free Hospital before returning to Devon. Valerie worked in Torbay Hospital and then in the community where she developed an interest in supporting patients and their families dealing with life-limiting diagnoses. She says: "I have two grown up daughters and a granddaughter and a grandson who also live locally. I have recently lost my husband with leukaemia, so I really know what it is like to be on the receiving end of caring for a loved one. "I am passionate about the NHS having worked in it all my working life and my husband was a paramedic, so understand different areas of care. I enjoy walking my two dogs , I also work with textiles and am doing a city and guilds in creative textiles. "I hope that by serving as a governor in the Forrest of Dean I can help to really achieve best care for all."